My Mac is a MacBook Pro Late 2011 model with the 15 inch screen. It began all with me, connecting my Nexus 5 to the Macbook. I imported some videos with iTunes (yes, iTunes popped up automatically and I though I just give it a try). In the import process, the mac suddenly hung up and gave me a gray screen! I then restarted the mac and since then, I have these strange LCD problems on the boot up and crashes as well in normal operation. I never had any problems with my mac so far, so it must have something to do with me connecting my nexus to my mac!. 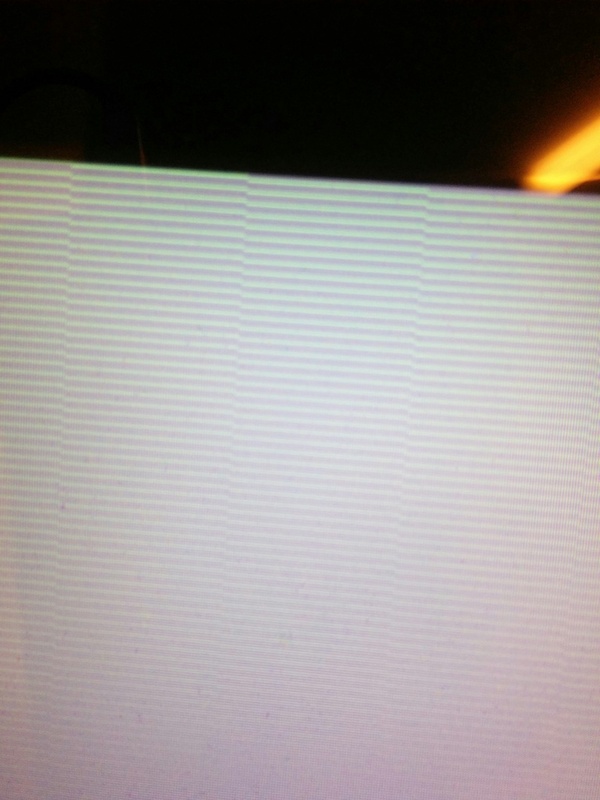 It's not reproducible for me but sometimes when I boot my mac, some strange lines appear on the LCD and after that, the mac hangs up (all I can see is a gray screen with no content). The mac also gets very loud at that moment. I have to restart and try it over and over again until I can finally login. Then, sometimes in normal operation, my mac freezes and the lcd displays the same lines as shown above (but with other colors: sometimes just blue, sometimes red and blue etc.). I also can provoke a crash when I connect my Thunderbolt Display to the thunderbolt port. But this does not cause a crash everytime AND sometimes it just crashes with no monitor connected to it. Make the apple hardware test (normal and extended) --> no failures were detected. Make a clean install of OSX 10.10.3. Changed the internal storage from an SSD to the original HDD from apple. None of it solved the issue. I have currently no kernel extensions installed. 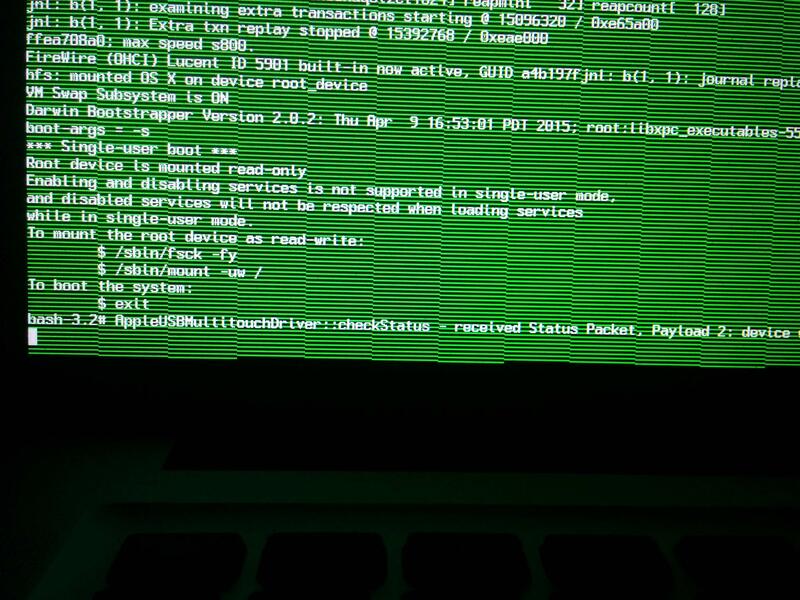 Restoring the mac over the internal recovery partition did not work. Restoring the mac over the air did also not work. Today, /sbin/fsck -fy failed on the startup and I had to repair the volume (Maybe the SSD is damaged?). The nexus is not modded in any way. This is probably caused by the famous GPU problem these MacBook have. Do a search on Google for Late 2011 MacBook GPU problems and you will find loads of information about this. Apple finally recognized the manufacturing error and has a program in place to replace the logic board under warranty. I had mine replaced a couple months ago with no costs at all. Not the answer you're looking for? Browse other questions tagged macos mac boot .